Looking for a suit that subverts gender norms? A number of businesses now cater to "butch lesbians, transgender men, the androgynous and tomboys — underserved customers who might call themselves 'masculine of center,'" according to the New York Times. 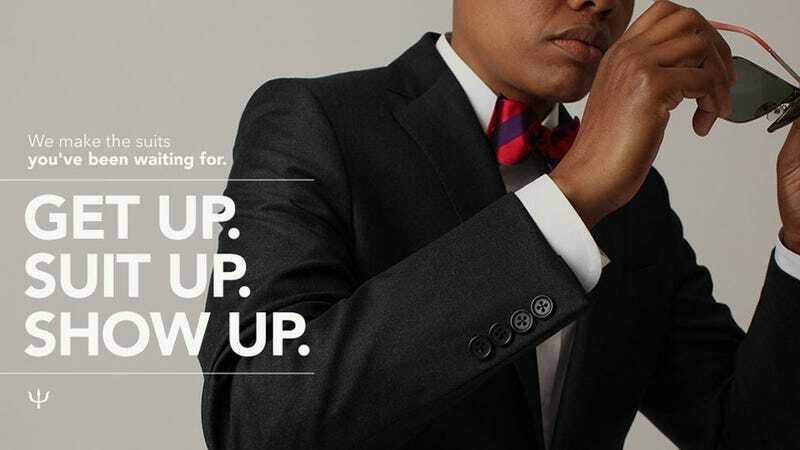 Stores that sell classic men's suits tailored for not-so-classic bodies include Saint Harridan, Tomboy Tailors, HauteButch, Marimacho, and Wildfang. You can also check out style blogs like dapperQ, and Qwear. “It’s not cross-dressing for me to wear a suit,” said Susan Herr, the founder of dapperQ. “It’s cross-dressing for me to wear a dress.” Preach.